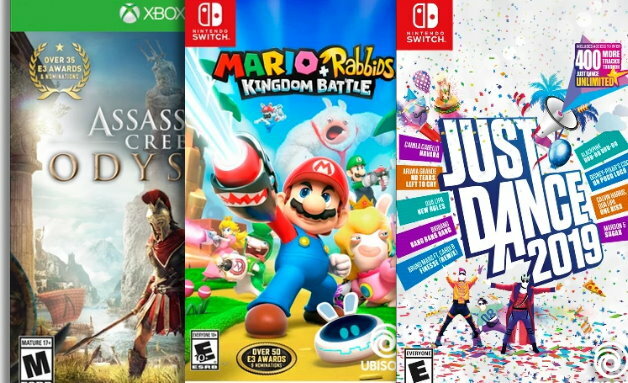 This week only thru 4/13 – Target is offering up a nice B1G1 50% off Select Video Games in stores and online at Target.com. No code is needed, just keep in mind the lowest priced game is the one that will be half off at checkout or the register. There are several titles included across several platforms, and you can check them all out HERE. If you are shopping in stores – be sure to check out online pricing first, as it may be a better deal to purchase on Target.com since several titles are priced less. Shipping is FREE on Target.com on orders of $35 or more, or choose FREE Store pickup when available. And as always, if you have a REDcard you will get FREE shipping with no minimum and an additional 5% Off. 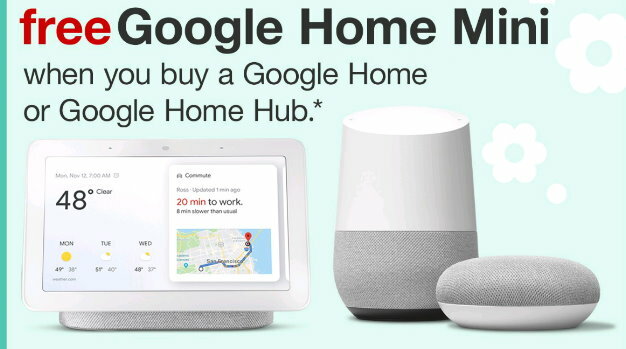 For today only, Thursday, April 11th, Target.com is offering up a FREE Google Home Mini Smart Speaker with Google Assistant when you purchase a Google Home or when you buy a Google Home Hub. No Code is needed, just add both items to your cart and the Mini will automatically be deducted at checkout. Shipping will be FREE, and as always, if you have a REDcard you will also get an additional 5% off. 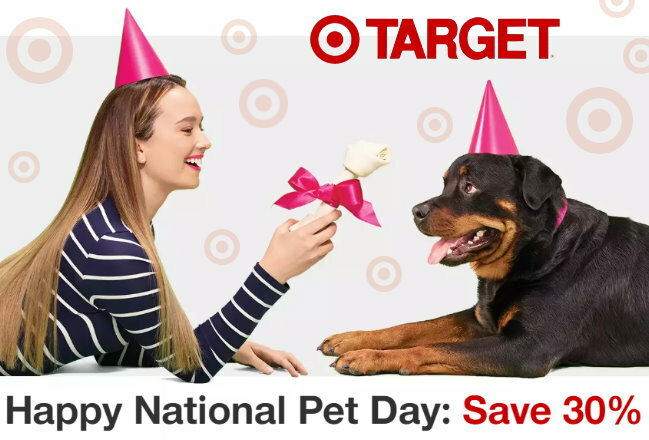 In honor of National Pet Day, Target.com is having a nice one day only sale where you can save 30% Off Pet Supplies when you choose FREE store pick-up or drive-up if available. 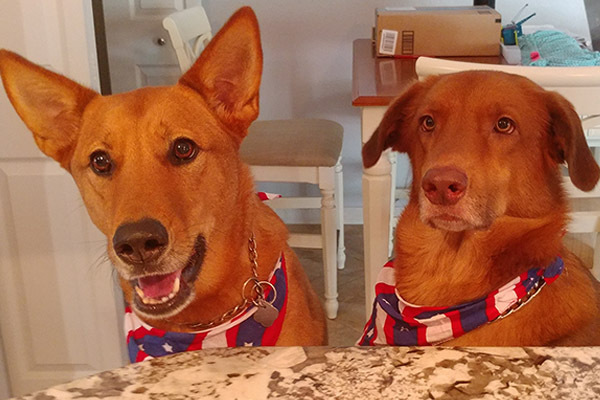 Over 1,000 products qualify including pet treats, pet food, cat litter and so much more. It’s also a great way to save on items we rarely see coupons or discounts for, like pet bowls, beds & collars. There is no maximum number of items you can buy and no code is needed. Once you choose FREE store pickup, the discount will automatically apply at checkout to all qualifying items in your cart. And as always, if you have a REDcard you will get an additional 5% Off. Thru tomorrow only, Thursday, April 11th, Target.com is offering 30% off LOTS of select bedding & bath items online only. It’s a great opportunity to grab items at a discount and there’s many different items to choose from, including comforters, quilts, pillows and more. So take a good look around to see what deals you can find. Just go HERE to get started and no code is needed, prices are as marked. Shipping is FREE on Target.com on orders of $35 or more, and as always, if you have a REDcard you will get FREE shipping with no minimum and an additional 5% Off. 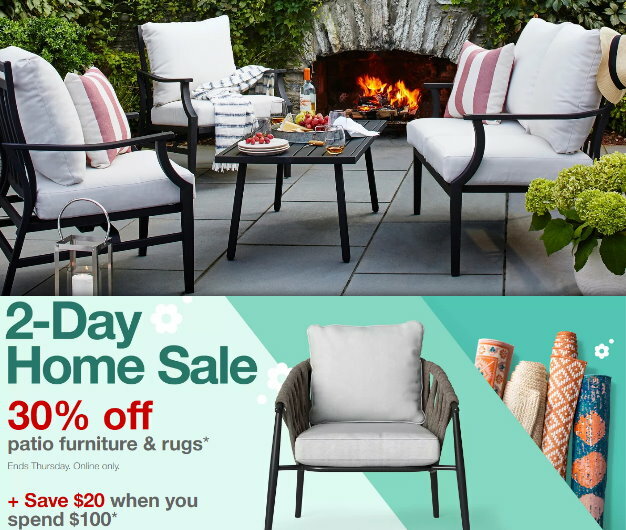 Target.com is having a nice two day sale where you can save 30% Off Patio Furniture and rugs thru 4/11. Choose from conversation sets, patio sets, tons of rugs in lots of styles & colors, string lights, patio cushions and more. In addition, you can also get $20 off a $100+ outdoor furniture & rugs purchase with the code SPRING thru Saturday, 4/13. Shipping is FREE on orders of $35 or more, or choose FREE store pickup where available. And as always, if you have a REDcard you will get FREE shipping with no minimum and an additional 5% Off. Now thru Saturday 4/20, you can get an extra 20% Off select Cat & Jack Baby & Toddler Denim both in stores and online at Target.com. There are several different sizes included – toddler, infant, and even newborn in lots of different styles. If you are shopping online, no code is needed, the discount will apply at checkout. Shipping is FREE on orders of $35 or more, and as always, if you have a REDcard you will get FREE shipping and an additional 5% Off. 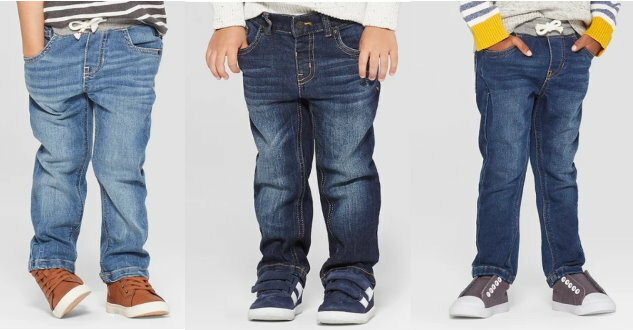 If you prefer to shop in stores then just load this 20% Off Newborn & Toddler Jeans & Jeggings Target Cartwheel, also valid thru 4/20. This blog post is sponsored by Swiffer, but all opinions are my own. As an owner of 2 very sweet, albeit rambunctious dogs, Luna and Buddy, you can imagine how messy our house gets. Between all the dog hair, muddy paw prints, and more, my wood floors can get pretty dirty. No worries though, thanks to Swiffer WetJet Wood, the all-in-one system that’s specially formulated to break up and dissolve tough messes, but gentle enough to use on my wood floors. 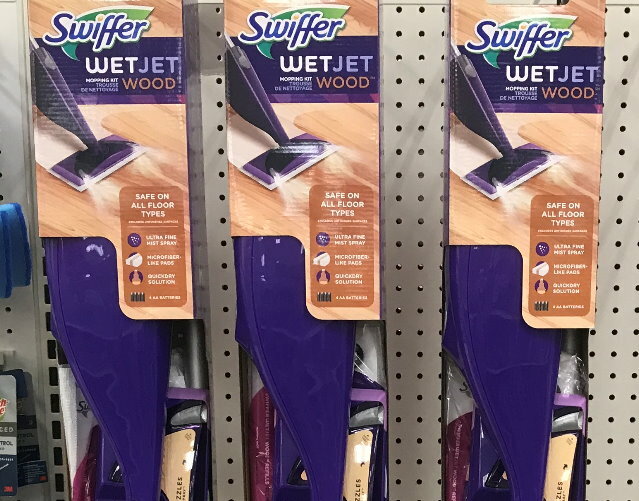 The Swiffer WetJet Wood comes with a microfiber-like pad that’s soft on wood floors yet strong enough to pick up dirt and grime. I especially like that it sprays a light mist, just enough to clean my floors and allow them to dry quickly. 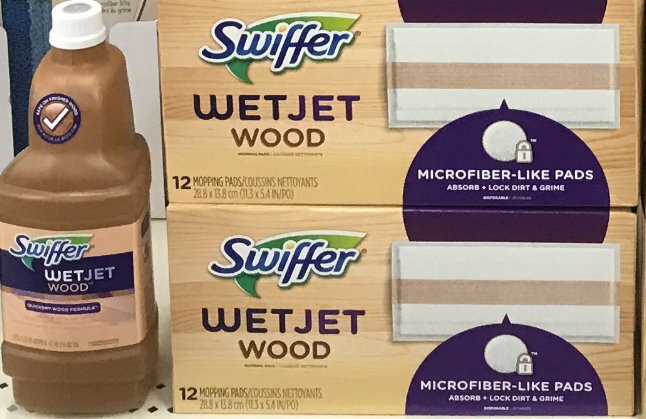 Plus, Swiffer WetJet Wood is safe enough to use on finished wood floors and safe to use with pets and kids, so I can keep up with daily messes. Life moves too quickly to have to worry about tiptoeing around on wood floors to keep them in pristine condition. Our dogs can be a handful but we wouldn’t have it any other way. They give us unconditional love, make us laugh, watch over us and more. Thanks to Swiffer WetJet Wood cleaner, I can keep my wood floors clean and looking their best. For more information on the entire Swiffer product line, go to www.swiffer.com or www.facebook.com/swiffer. Now thru Saturday 4/20, you can get an extra 20% Off select Baby Rompers both in stores and online at Target.com. There are quite a few styles to choose from and even some sets too. If you are shopping online, just use the code ROMPER at checkout to get your discount. Shipping is FREE on orders of $35 or more, and as always, if you have a REDcard you will get FREE shipping and an additional 5% Off. If you prefer to shop in stores then just load this 20% Off Newborn Rompers Target Cartwheel, valid thru 4/13. This week thru 4/13, Target.com is offering up a FREE $40 Gift Card with a select nursery furniture purchase of $250 or more. No code is needed, the gift card will automatically be added at checkout once you meet the required spending threshold. There are quite a few items to choose from including cribs, mattresses, dressers & more. In addition, there are also a few different styles of cribs on sale and you can check out the sale items that qualifying for the gift card HERE. And as always, if you have a REDcard you will get an additional 5% Off. 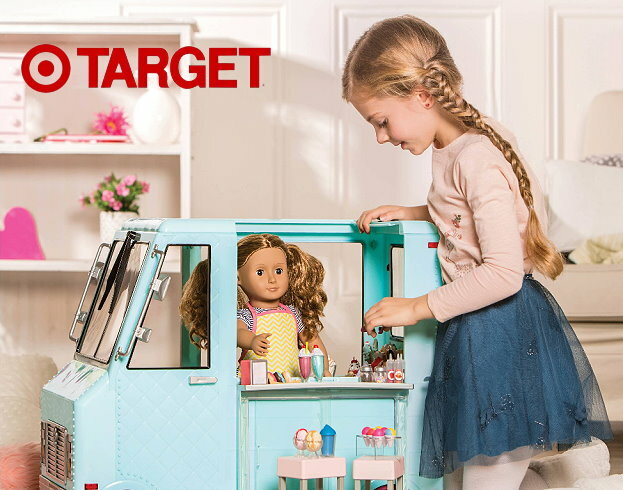 Thru Saturday, April 13th, Target is offering up a B1G1 50% Off Select Our Generation Dolls, Playsets and Accessories both in stores and online at Target.com. No code or cartwheel is needed, just keep in mind the lowest priced item is the one that will be half of at checkout or the register. There are lots of items to choose from too, with prices starting online at $8.99. 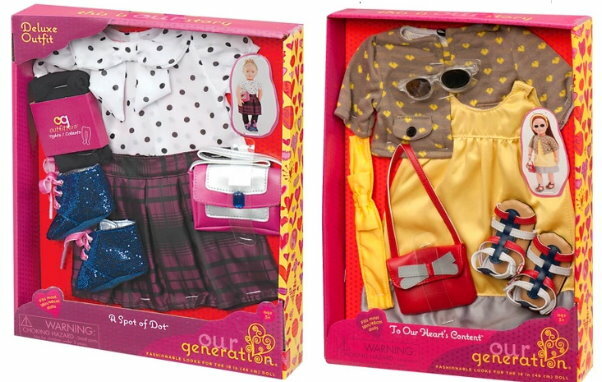 In addition, there are also several Our Generation outfits on sale up to 20% off to save even more. No code or cartwheel is needed, sale prices are as marked. Choose from select Retro, deluxe, and even regular outfits. If you are shopping online – shipping is FREE on orders of $35 or more, or choose FREE store pickup where available. And as always, if you have a REDcard you will get FREE shipping with no minimum and an additional 5% Off.